How to add the API button? Hippo Video API combines a well-scoped feature set for both users and developers. 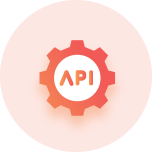 The following are the benefits and features that come with our embeddable API. 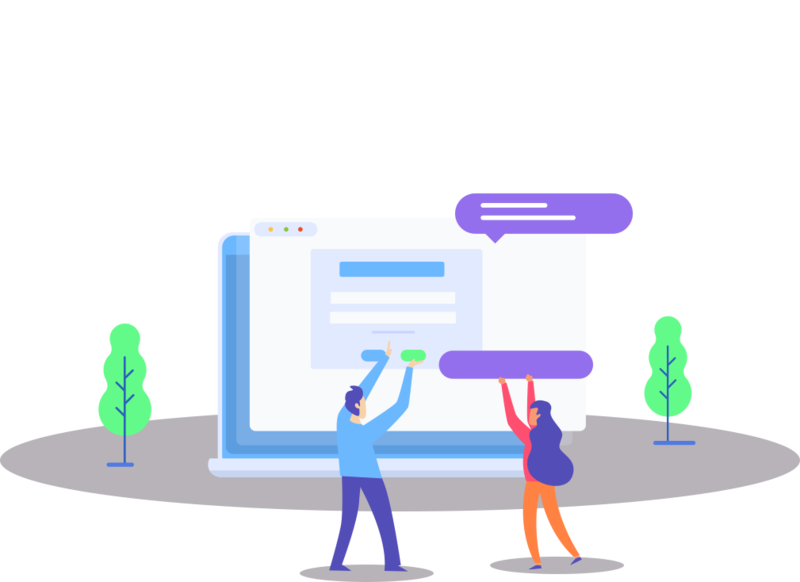 Hippo Video offers you a seamless API integration. The Embed Button works with any web page, blog or publishing platform. All you need to have is a browser extension and a simple code to get things started. Display your brand on our player. Your users will only see your brand in their entire experience with the API recorder. Hippo Video is a powerhouse that can hold thousands of videos providing the needed stability for its users. The Video/Screen Recorder API is highly affordable. The API Button is designed to fit all styles. That’s why we built customizable buttons for your convenience. You can now modify the API’s theme and its view, to suit your brand. 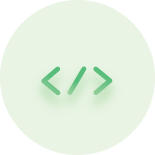 We send callback events to improve your user’s experience whenever they take specific action on the API button. Video can be easily created with multiple inputs. 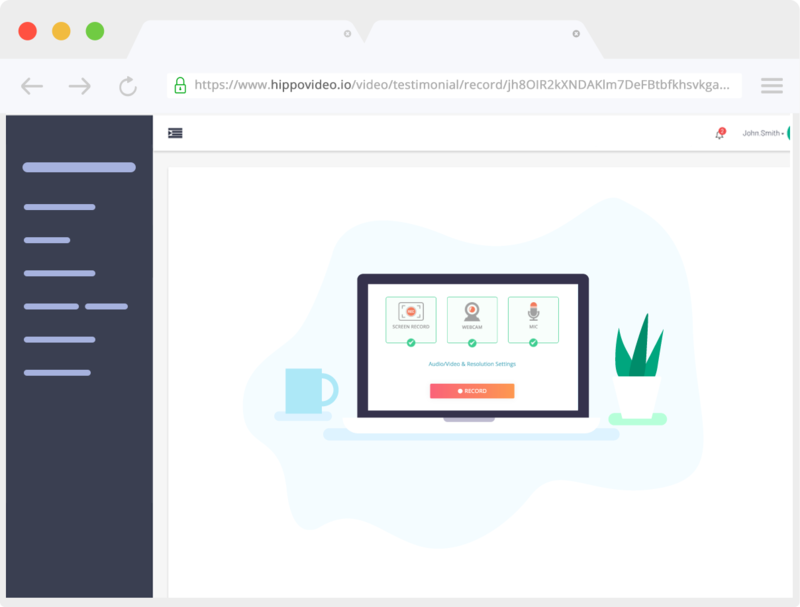 Hippo Video recorder API comes with the screen, audio, and webcam recording options. 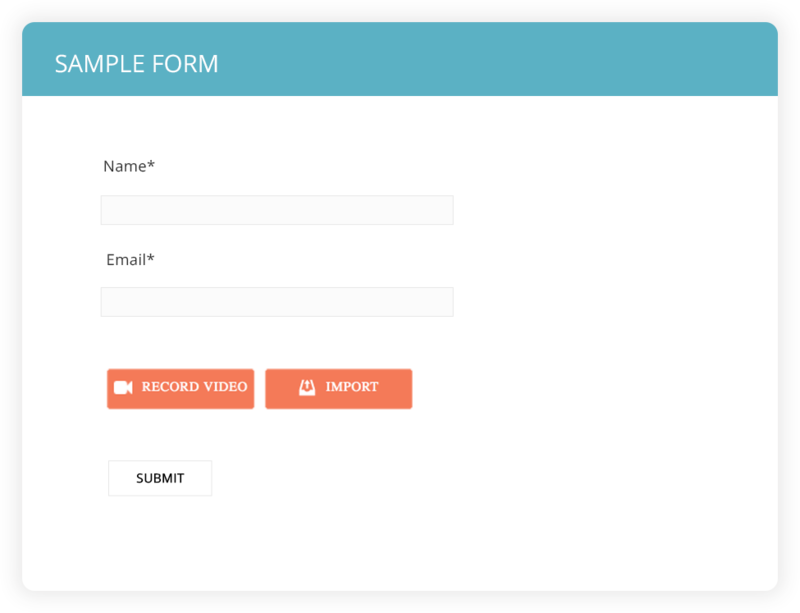 Your viewers can choose the inputs before they start recording a video. We guarantee your viewers get the freedom to playback their video once they finish recording. Never compromise in video editing. Hippo Video offers your viewers with editing options like trim, crop, frame resizing, adding text, smileys, callouts, and more! This helps your viewers to send you the edited videos after perfecting it. It’s easy to get started, Follow these simple steps, and you'll have the embeddable API set up in no time. Login to your Hippo Video account and go to the INTEGRATIONS page. Now copy the script code and place it inside the head tag. Preferably at the beginning, before all other scripts. Copy the HTML code and place it wherever you want the video recording button to appear. P.S: To record screen, you viewers need to have the Chrome Extension. The input element will contain the recorded video's URL after recording is finished. → 'systemAudio' enables the system audio like any application or browser tab playing any music. You can also keep both the options enabled. record_initiated When recording is initiated preview_url: URL to preview video. (preview will be available at any point of time for the recorded user. For others, it will be the same as 'recorded_url') recorded_url: video delivery URL. URL to share/mail/message others. embed_url: similar to recorded_url. Optimized for embedding as an iframe in a website. thumbnail_url: thumbnail URL of the video. thumbnail_play_url: similar to 'thumbnail_url', except the play icon is displayed at the center. token: video token for the recorded video. import_complete When import is successful preview_url: URL to preview video. (preview will be available at any point of time for the recorded user. For others, it will be the same as 'recorded_url') share_url: Video delivery URL. URL to share/mail/message others. embed_url: Same as recorded_url. optimized for embedding as an iframe in website. thumbnail_url: Thumbnail URL of the video. thumbnail_play_url: Same as 'thumbnail_url', but with play icon at the middle. token: Video token for the recorded video. How businesses use our API? 1Boost their brand’s trust by collecting video feedback or testimonials right from where their customers are. 2Provide the best customer experience by allowing their customers to record their queries instantly. 3Know their user’s experience by embedding the video recording widget in web pages. 4Make it easier for visitors to communicate on their sites. And, there is no limit, we can go on forever with the list of use cases. You are one step closer to experience our video creation API.